These two cuties are almost nauseatingly adorable and perfect. 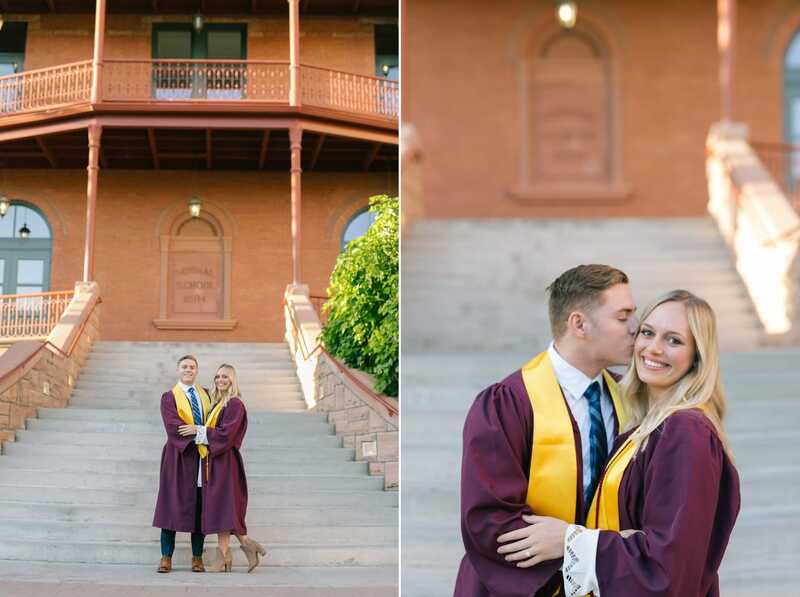 After getting engaged, they wanted a college graduation portrait session together- I suggested also shooting a few engagement photos around the Tempe Arizona State University campus as well! I loved how completely natural they both were together. Sarah did a fabulous job with styling the session with her adorable outfits, decorated cap and vintage nurse hat. 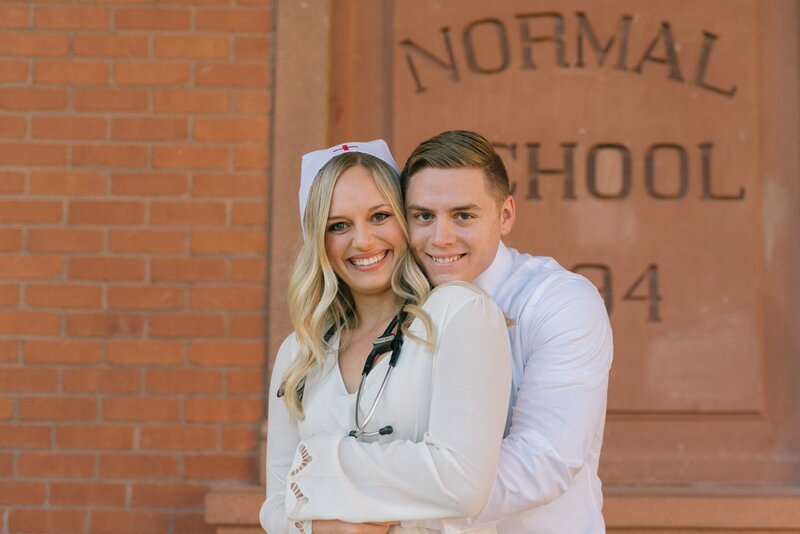 Now they have the most perfect photos for not only their graduation announcements, headshots for their job searches but also some great save the date photos. 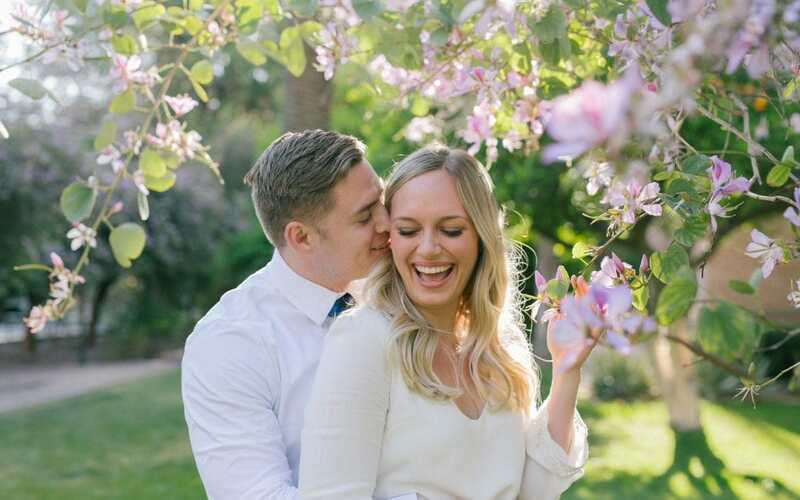 They are getting married in California sometime next year. 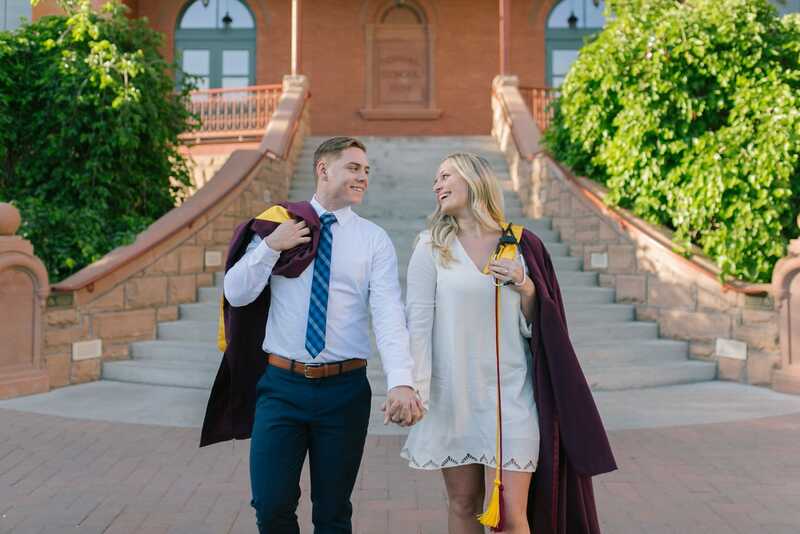 Bringing along your significant other for your Arizona college senior graduation photos is a great idea! 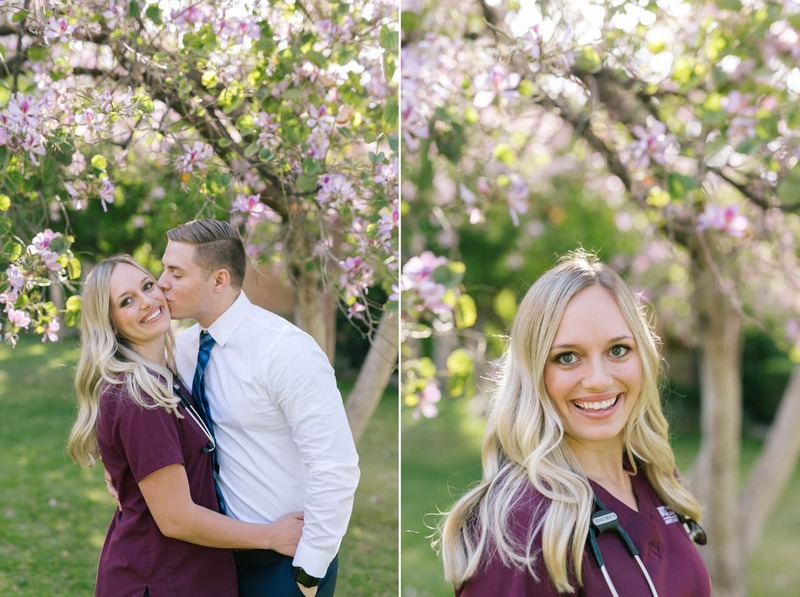 I love when I get the opportunity to shoot couples and if you’re engaged or just want some great photos with your significant other, a college grad session is a great time to get that in. 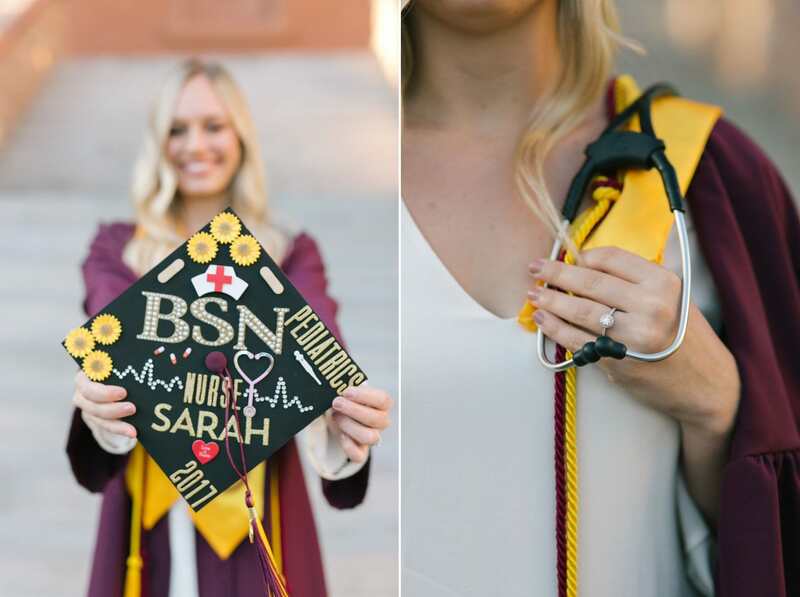 I shot Natasha & Kayla’s Downtown Phoenix grad photos and it was so fun to get to explore the downtown Phoenix ASU campus. 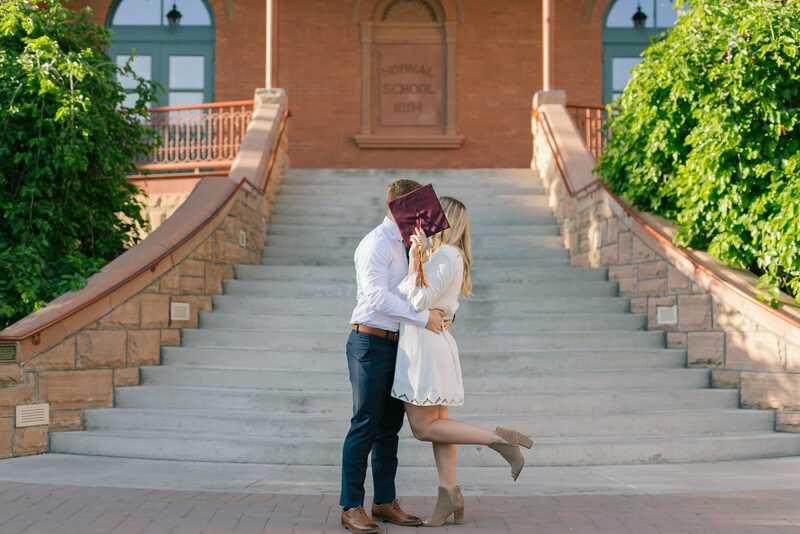 I’d love to start shooting more couples’ college graduation portrait sessions! 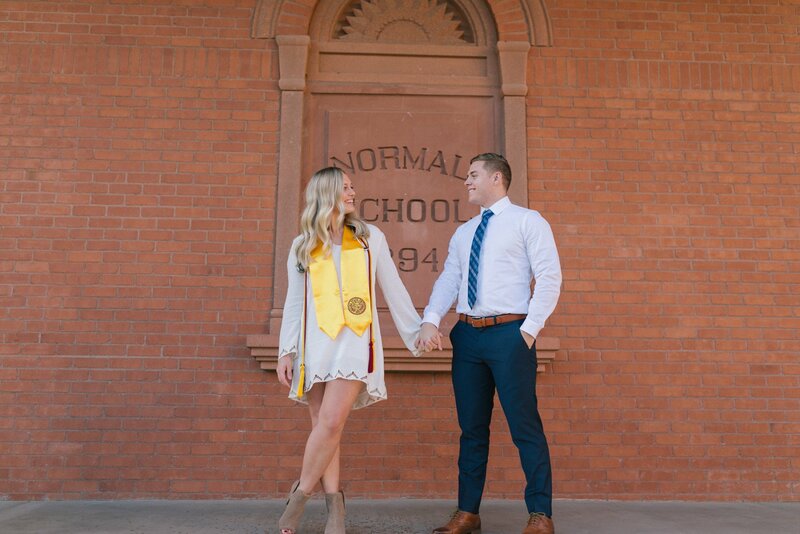 You can also check out more Phoenix college graduation photo sessions! I’ve been so blessed to have photographed a lot of college graduates over the years. I think it’s even more of an accomplishment than high school graduation, plus it’s a great time to get those updated headshots to send out on those resumes and update your LinkedIn profile for your post grad job hunt. 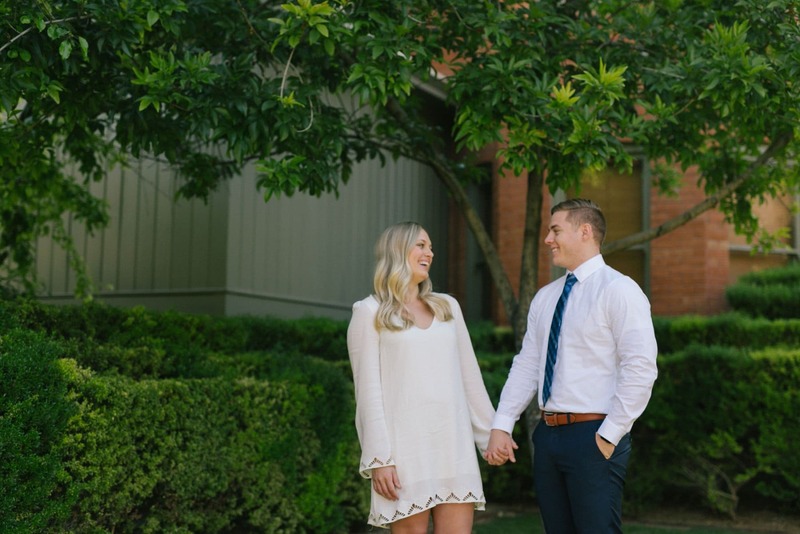 And although a college campus is definitely a natural choice for location, you definitely don’t have to do your session there- I’ve shot at the Superstition Mountains, downtown Mesa, ASU West Campus, downtown Phoenix, Papago Park, and the Gilbert Riparian Preserve. 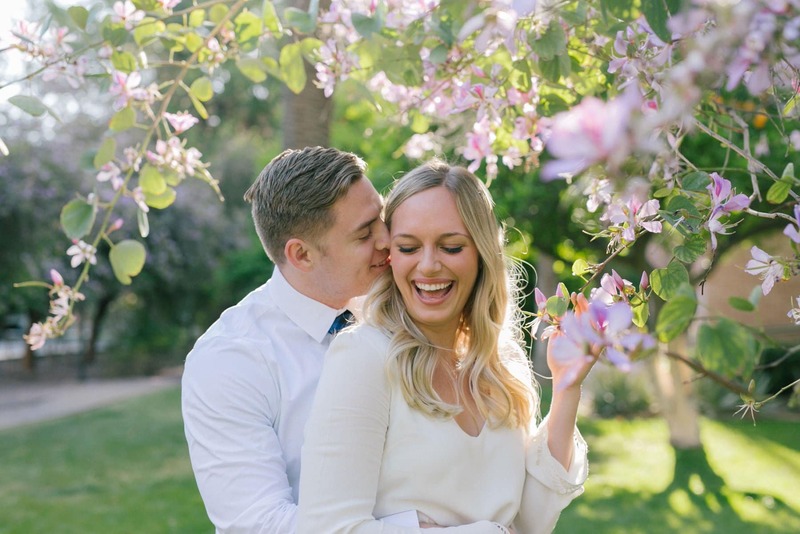 Think outside the box and we can think of a rad location together that really reflects your personality!